Learn 2 Fuse Glass: Advanced Classes - Learn 2 Fuse Glass... & More! These classes are for those who are ready to take the next step & are offered according to need! Contact Me to schedule a specific Class for you! This class gives guidance on how & where (in your home) to set up a "Studio" to continue cutting & fusing glass at your leisure! It covers safety measures, best possible location(s), and what you'll need. A glass fusing Kit can be purchased (at this time) to enable student to start soon! Class is approximately 1-1.5 hours. Want to purchase a new kiln or maybe you just acquired a kiln OR maybe you have one sitting at home that hasn't been used yet! This class will review everything about your kiln from removing it from the box, shipping damage, preparing kiln shelves, firing, and more! 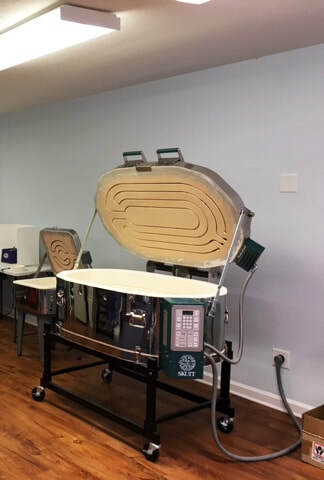 We'll review a variety of different kilns so you can determine (if you haven't purchased one yet) which would be best for your glass firing/creating needs. 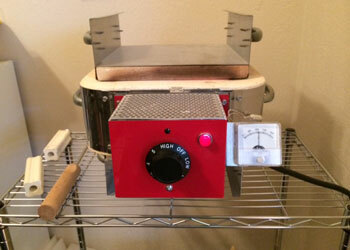 If you already have a kiln, we'll review the type & usage. Class Length: Approximately 2-2.5 hours. If you're looking for more 1-on-1 time to learn how to USE Your New Kiln, I offer a 3-hour session to do just that in the comfort of your own home! This is a "Custom Scheduled" 3-hour session, and is described below. WHAT DO I DO WITH ALL THIS GLASS I CREATED?! Ever wonder what it takes to start a glass fusing business? This course will open your eyes & enable you to see if you're ready to take that Next step! You'll learn basic business & tax info, applying to/doing shows-what do I need, how much to create, and more! Class length can be dependent upon how much Student(s) wants/needs to learn! Class Length: Approximately 1.5-2 hours. Don't have a kiln yet, but want to create glass jewelry at home? If you have glass at home already and are creating fun jewelry, but don't have a kiln just yet, and not sure you want to invest in a kiln, then THIS is for you! Bring your Jewelry into the Starry Night Creations Studio, enough to fit on a 6" x 6" plate, and receive everything fired in one kiln firing for a fee; larger glass pieces subject to increased cost. Glass used must be COE 90 and certified as fusible. Firings are subject to Studio schedule priorities. Finishing of fired jewelry is the responsibility of owner, using their own sanding & finishing materials (finishing supplies (bails) available for purchase in Studio). Contact me for more info. / make appointment for this option. **Ask about purchasing a Glass Fusing Kit that includes all tools needed to create at home (glass sold separately).